Free community concert featuring Utah's best artists. Presented the second Saturday of each month by the Library's Viridian Event Center and Excellence in the Community. The 23rd Army Band has a rich and wonderful history as an internationally renowned Military Big Band of the highest caliber. Organized in 1924 to provide music for military ceremonies, the Band has performed twice at the prestigious Worldwide Bandmasters Conference in Norfolk, VA., and was invited by the Mayor of St. Petersburg, Russia, and the U.S. State Department to perform a series of joint concerts with the Leningrad District Army Band during the summer of 1992. In 2004, the Band traveled to Germany to welcome home soldiers from the Middle East and to support the USAREUR (U.S. Army Europe) Band & Chorus, in addition to welcoming home soldiers at the Utah Air Guard Base. 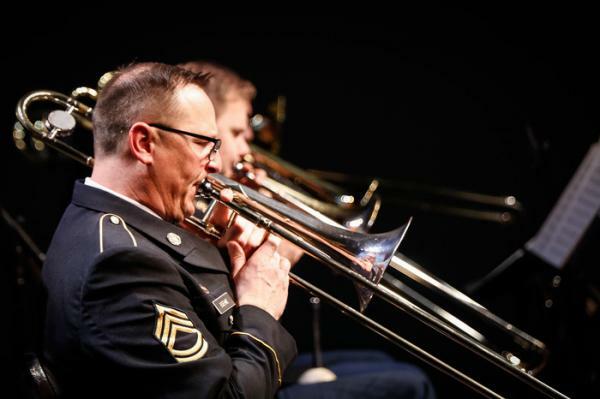 They have previously performed in Germany, across the United States, and together with the Mormon Tabernacle Choir, Utah Symphony and U.S. Army Field Band. They perform regularly as part of Excellence in the Community's Big Band Summer at the Gallivan Center.